We close for the holidays on Friday 23rd December and re-open on Wednesday 4th January. During this time orders may be placed in our online shop, but they will not be dispatched until we return from our Winter Break. Last day for dispatch before the holidays is Wednesday 21st December. We are proud to be hosting the final leg of the travelling exhibition of winning bindings from the 2011 Society of Bookbinding Competition. 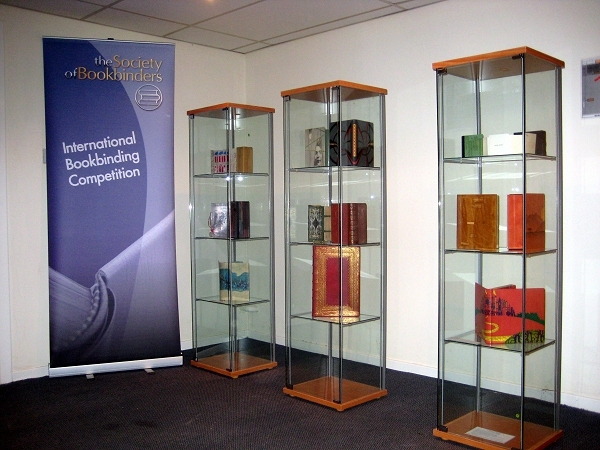 The books will be available to view in the foyer of our Livingston Factory from Tuesday 7th December to Friday 23rd December 2011 (lunchtime) and from Wednesday 4th January through to Monday 16th January 2012. Opening times 08.30 - 16.00. Details of how to reach us can be found here.